Wallace Chevrolet > Buick > Buick Pulls The Wraps Off 2016 Regal Sport Touring! Buick Pulls The Wraps Off 2016 Regal Sport Touring! Like the other Sport Touring models before it, the Regal ST is immediately set off with screaming bright red paint and a stunning set of 18-inch wheels with machine faces and “black” pockets on all four corners, while a sculpted rear spoiler further emphasizes its sporting nature. Pull open one of the Regal ST’s body-coloured door handles and inside you’ll find leather trimmed seats in back and front with heated seats up front. You’ll also find it easier than ever to pair your and access your phone hands-free thanks to the addition of Buick IntelliLink with Apple CarPlay, while OnStar 4G LTE Wi-Fi provides a hotspot for up to seven people. Road trips with the kids have never been this easy! Plus, the Regal Sport Touring also comes standard with a rear-vision camera, making it easier than ever to slip into even the tightest parking spaces. 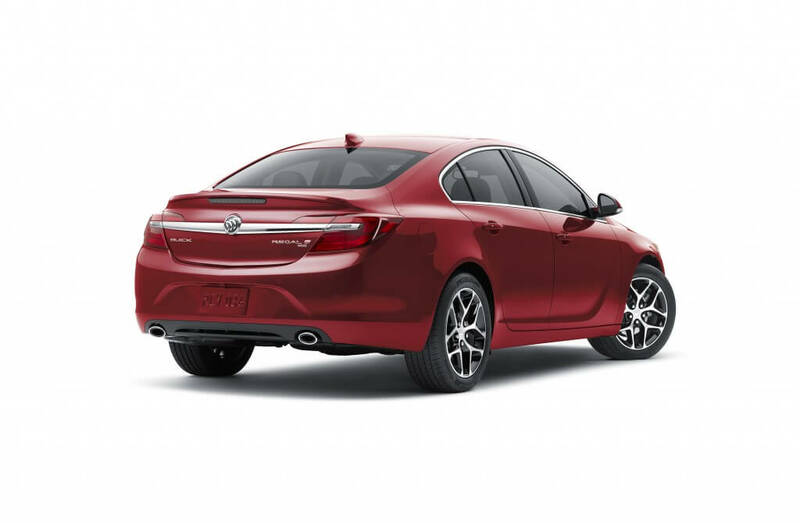 “These new ST models underscore the importance of design choices, while complementing the safety, refinement and connectivity technologies that are drawing new customers to Buick dealerships,” said Mike Speranzini, brand director of Buick in Canada. Like the other Sport Touring models, the Buick Regal will arrives at Wallace Chevrolet later this fall. One thing’s for sure: We can’t wait to meet Buick’s new Sport Touring line in person!